Napavine has a new sergeant and this isn't just any sergeant. This is Sergeant Stripes, the new mascot for the City of Napavine Police Department. 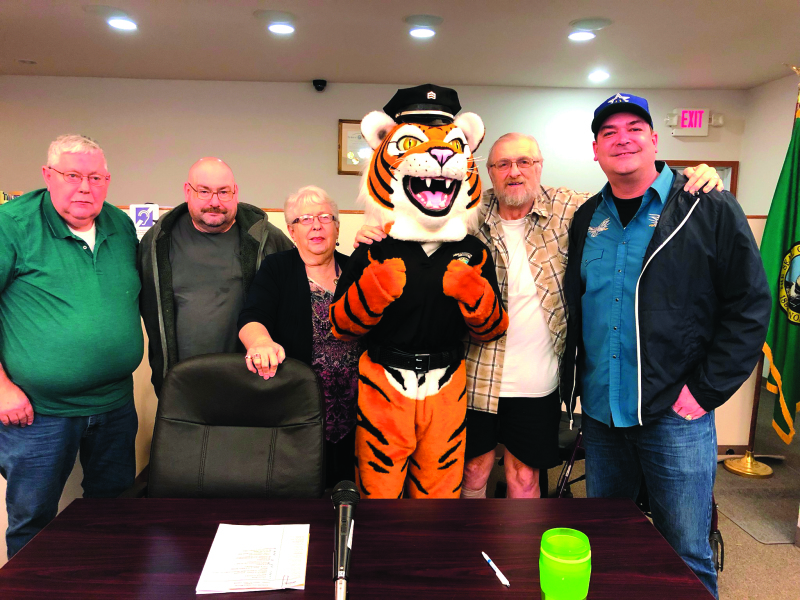 Sergeant Stripes was introduced at the Napavine City Council meeting on January 22, 2019 to the Napavine city council and mayor. Sergeant Stripes came in excited to be a part of such a great city. Sergeant Stripes will be accompanying Chief Salyers to events to teach kids about the importance of law enforcement. Chief Salyers stated, "Sergeant Stripes is a great addition to our team, Stripes will participate in activities around Napavine to help the students understand what law enforcement is responsible for. We want to make it fun and we felt Sergeant Stripes would encourage students to learn more about what we do. Welcome Sergeant Stripes to the Napavine Police Department, we know you will do the community proud.